A contemporary, affordable, long lasting shower, the Mira Vie features an Eco setting designed to save water and energy. With separate power and temperature controls to fine tune your perfect shower, and pressure stabilised temperature control, you can maintain your selected showering temperature and flow. 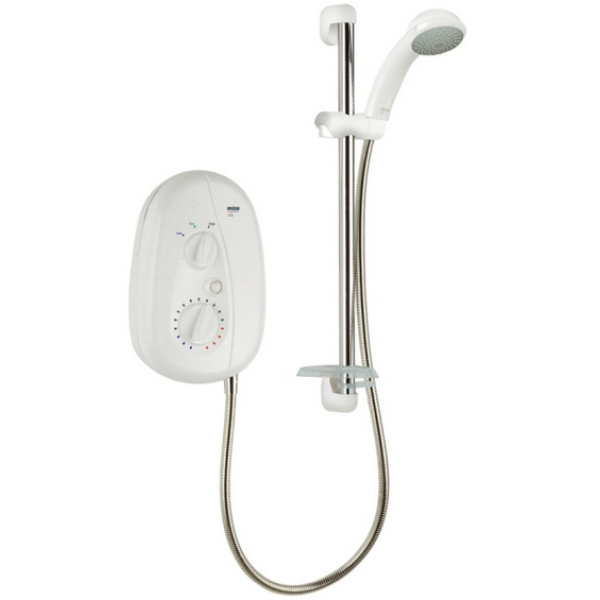 Features an on/off push button and a smart white and chrome finish, perfect for any bathroom. Clearscale™ technology cuts limescale by half for a better performing, longer lasting shower.